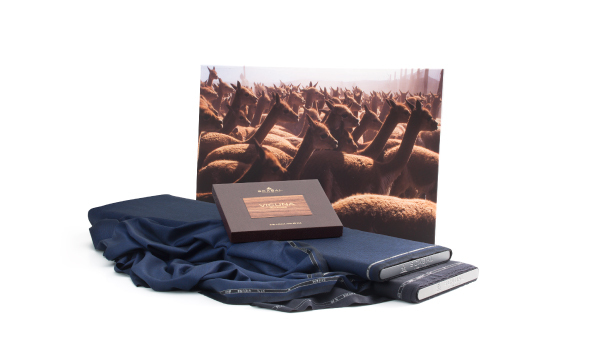 Design of the Vicuña fabric box for renowned made-to-measure and refined fabrics house Scabal. 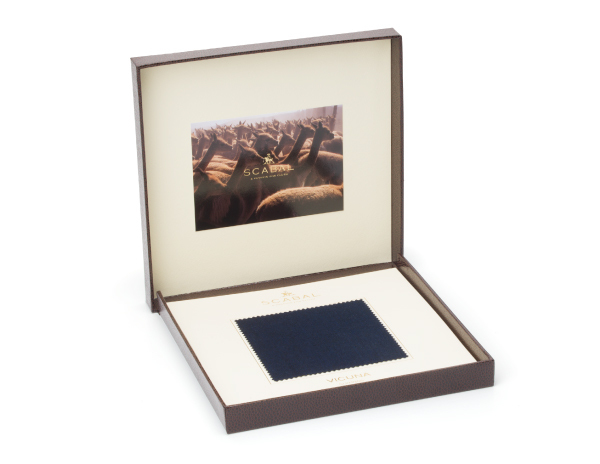 The Scabal Vicuña is one of the softest and finest types of wool available in the world, therefore the samples are presented in this luxurious box. The handmade box is covered in shiny Pellaq Caviar paper on the outside, while a real wooden inlay displays the golden Vicuña logo. On the inside the box is lined with an off white Wibalin paper and a picture of this rare, but exquisite breed in its natural habitat. Display picture courtesy of Filip Vanzieleghem.